Chad Kroeger is a Canadian singer and music producer, and the lead vocalist and guitarist in the popular rock band ‘Nickelback’. Let’s take a look at his childhood, life, career, achievements, and some fun facts. Chad Kroeger is a Canadian singer and music producer, and the lead vocalist and guitarist in the popular rock band ‘Nickelback’. 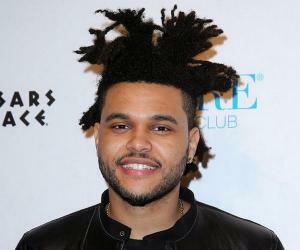 This is one of the most successful bands to come out of Canada, selling over 50 million records worldwide. Despite the immense success he achieved as a musician, childhood wasn’t quite well for Chad. He was found guilty of stealing repeatedly during his school days. He has mentioned this in a 2005 song ‘Photograph’. He started playing guitar at the age of 13, and once he came out of the high school, he started touring around after forming a band, along with his buddies, who also became part of Nickelback later. The band eventually broke up and a few members left midway through their pursuit to get their first album released. Eventually, Chad met some right people and the band was reformed. It was renamed Nickelback and achieved mammoth success, breaking records and becoming public’s favourite. Apart from Nickelback, Chad has collaborated individually with several other established artists. Chad Kroeger was born Chad Robert Turton in Alberta, Canada on 15th November 1974. 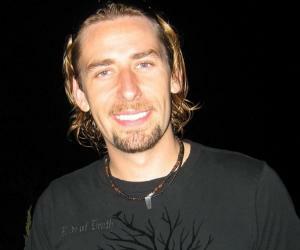 Chad has an elder brother Mike, who also happens to be a part of Nickelback. His childhood was something one can call ‘troubled’. Chad’s father left the family when he was just 2. He has written about it in a later song. He was a very troubled child. He used to steal money from other students while in school and was caught and sent to retention. The hatred towards his father made him adapt his mother’s maiden name as his last name. Chad started playing guitar at the age of 13 along with his brother. 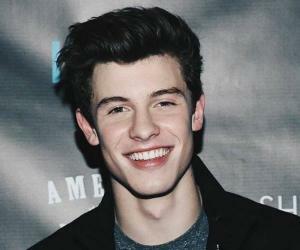 He derived pleasure from listening to alternative and grunge rock bands and started taking music seriously while in high school. 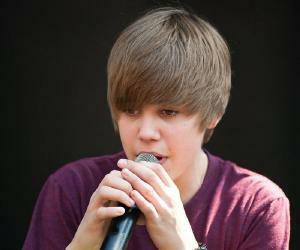 Once out of the school, he gathered some of his friends and started doing small shows around Canada. However talented he was, he couldn’t hold the group together. Then he started another band named Nickelback and started over. In 2001, Chad started a band named ‘The Village Idiots’ along with his lawyer, Jonathan Simkin. The band received moderate success and was later nominated for Canadian Indie Award a few years down for their debut album. Chad has also produced music for several other artists and bands such as ‘Default’, ‘Theory of a Deadman’ and ‘Bo Bice’. In 2002, Chad got a chance to produce and sing a song for the movie ‘Spider man’ titled ‘Hero’. The same year, Chad recorded a song for Santana’s new album titled ‘Shaman’ but he refused to release it due to his band Nickelback’s latest album’s arrival shortly after. This move was criticized and termed as ‘selfish’. In 2003, Chad received the award for international achievement for the song ‘Hero’ at the SOCAN awards held in Toronto. Chad collaborated again with Santana for their album ‘Ultimate Santana’ and worked on music for Travis Tritt’s album ‘The Storm’ in 2007. Along with that, collaboration with Bo Bice happened on ‘You’re Everything’, a song which he wrote and played guitar on. Several other collaborations followed with Daughtry, Tim McGraw, Timbaland and Ludacris. He also worked on Avril Lavigne’s fifth studio album, during which the artists came closer and started dating, which later culminated into marriage. Playing for Nickelback, Chad Kroeger released the very first album titled ‘Curb’ in 1996, which was a moderate success. However, the second studio album by the band, which took four years to be perfected, struck the bull’s eye. The album titled ‘The State’, which was produced by Roadrunner Records, was released in 2000 and achieved the gold status immediately after its release. The platinum status was obtained by the album years later due to increased public attention by the success of other albums. Their third studio album ‘Silver Side Up’ came in 2001 and was an instant success, topping all the Canadian charts. Billboard chart presented the album with a number 2 spot and a single from the album ‘How you remind me’ became Billboard 100’s single of the year for 2002. The allegations of imitation from ‘Grunge Rock’ followed, but the band denied it. Other singles from the album ‘Too bad’ and ‘Never Again’ were also chartbusters and established Nickelback as one of the most important bands to watch out for. Their next studio album titled ‘The Long Road’ released in 2003 and was honoured as three time platinum by RIAA. The album sold 5 million copies worldwide and was eventually included in Billboard’s ‘200 Greatest Albums of All Times’ at the spot 157. But some critics recoiled, and called them poor imitators of Grunge, again. Despite that, the success followed, and the single, ‘Figured you Out’ became a chartbuster and held the top spot at the Mainstream Rock Charts for 13 straight weeks. Nickelback’s fifth studio album titled ‘All the Right Reasons’ released in 2005 and climbed the top of Billboard 200 and the Canadian music charts. The band spent next two years touring across US and Europe. Their next album ‘Dark Horse’ was a moderate success and remained in the Billboard 200’s top 20 list for several weeks to come. In 2010, the album was honoured as the best selling album of the year by Billboard. In November 2011, their new album titled ‘Here and Now’ came and rocked the charts, climbing to the 2nd spot in the Billboard 200 chart and following the success of the album, the band embarked on a ‘Here and Now’ tour in 2012. In 2014, Nickelback released ‘No Fixed Address’ to a moderate success and announced their ninth album for a 2017 release titled ‘Feed the Machine’. 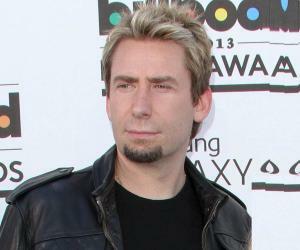 In July 2012, Chad Kroeger started dating Avril Lavigne, a Canadian rockstar. The couple got engaged in 2014 and got married the next year. However, the media was constantly abuzz about their differences and proclaimed that the couple is heading towards a bitter divorce. In 2015, Avril officially confirmed the speculation and the couple separated. In 2015, Chad suffered a throat infection, which later turned out to be a cyst, which was surgically removed. Chad was in between a tour at that time and the entire European leg of it was cancelled.